Interestingly, every aspect of our lives revolves around data. From banks to social media, to retailers, and governments – almost all the services we expose to, somehow collect and analyse our personal data. Our name, domicile, credit card number and other are being collected, analysed and, most importantly, archived by organisations. Not every organization is faithful enough to keep your data safe and sound; why would they do that? Then what happened? Data breaches inevitably happen; our information gets stolen, lost, or otherwise shared with those, we never intended to share it and those often have malicious intent. Thanks to the European Commission to finally reached data protection reform across the EU, the reform has a crucial component GDPR – General Data Protection Regulation, that has started to implement from 25 May 2018. To build the digital future of EU on trust, the reform was agreed back in December 2015, with an aim to set new rules, giving EU citizens more control over their personal data. The driving force behind the reform is to simplify the regulatory environment for business community so both individuals and businesses can fully benefit from the EU digital economy. The reform is drafted to reflect the real world we’re living in, and the laws and obligations revolves around personal data, privacy and consent – across Europe to speed up the internet-connected age. 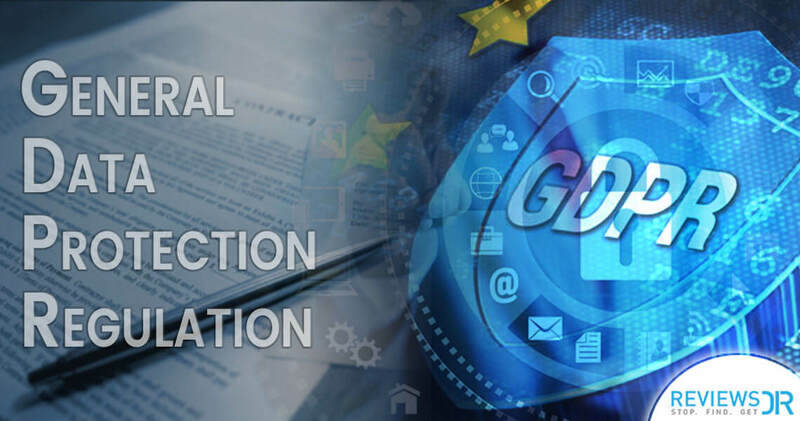 The terms of GDPR does not only restrict organizations to gather personal data legally, but also ensure the data collecting and managing organizations to protect it from misuse and exploitation, while respecting the rights of data owners – or get ready to face the penalties. GDPR applies to all the organisation operating within the EU and outside, those are offering products to EU customers or businesses; get ready all the world’s major corporations to compliance with GDPR strategy. What Comes Under Personal Data? The data considered personal in the context of current legislation include your name, address, and most importantly, your photos. But following the GDPR, your sensitive data that is unique enough to identify you like your IP address, genetic data, and biometric data, comes under the umbrella of personal data. It’s expected that data legislation with GDPR bring benefits to businesses; a single authority for the entire EU make it simpler yet economical for businesses to run their venture in the region. According to the commission, GDPR will save more than €2.3 billion/year across Europe; this might allow business community to be creative. The commission take the responsibility to safeguard data protection and in return demand entrepreneurs to ensure data protection into products and services from the early stage of development, following ‘data protection by design’ in all the new products and technologies. Organisations will be further encouraged to exercise techniques known as ‘pseudonymization’ to benefit from collecting and analysing personal data, keeping the customers protected. Reportedly, 3,776, 738 data records compromised everyday; one of the unfortunate reality for this that some of our data – be it an email address, social security number, password, or confidential health records – has continuously exposing on the web. One of the greatest changes GDPR is bringing is providing us, the right to know when our data has been hacked. Organisations are supposed to notify the appropriate legal bodies in case of any cyber threat to ensure us to take an appropriate measures to prevent our data from being abused. Now with GDPR, organizations are obliged to detailed the use of our data in an understandable manner with us in their terms and conditions so next time don’t tick the boxes blindly. Some organisations have already initiated and sending emails to their customers to inform them how their data i being used and also requestinf them to opt-out, whether they want their consent to be a part of their database or not. Some retailers in the marketing sector also calling their clients for their consent. Failure to comply with GDPR? You will be fined ranging from 10 million euros to just four percent of your company’s annual global turnover; a figure might be in billions for you. So, be aware all the entrepreneurs right out their, you guys are no more using our credentials for any unwanted reasons, we won’t let you archived and repurposed our personal data for your commercial sake. We request every EU netizens to ensure that all the companies you’re dealing with must comply with GDPR or else boycott their products for your own sake; your personal data is just like your DNA, and you don’t want anyone to play with that.